Footy appealed to Seva Mozhaev. Born in Krasnoyarsk, Russia, Mozhaev migrated to Australia with his mother in 1997. Taking his step-father’s surname Martin, Seva Martin joined the Whitford Junior Football Club after falling in love with footy thanks to his phys-ed teacher Mr Simmonds at South Padbury Primary School. Recently Seva changed his surname to Mozhaev, that of his grandfather and his father before him to recognise his heritage. He never connected with the name Martin. Junior football: Whitford JFC and later Railways in Kalgoorlie. Place of birth: Krasnoyarsk, Russia. Time in Australia: Migrated in 1997. Why did you get involved in footy? It appealed, I went for a kick and got involved in the local Auskick club and fell in love with the game. 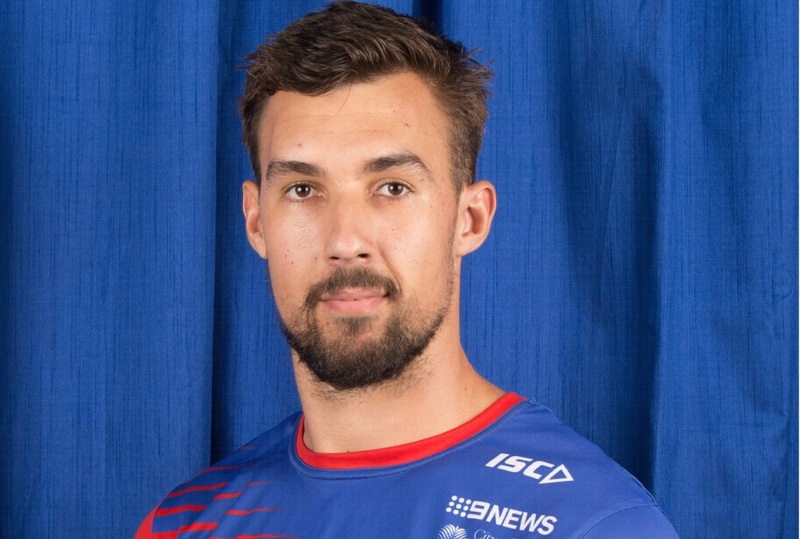 Present role in football: ruckman for the West Perth Football Club. What you do for a living? I am a personal trainer and am studying full-time at ECU to get my Bachelor of Secondary Education for P.E. and science. Why do you love football? Coming together as a team to accomplish something is a great feeling. The comradery is incredible. What WAFL Club do you support? West Perth. What AFL Club do you support? Adelaide Crows. Interesting sporting story: Being 208cm tall, I find a lot of guys similar to my height and build struggle with movement. Sport and training in general have kept my body in shape to be able to handle the stress of being a taller human being. I am grateful to have the opportunity and the ability to keep myself fit so that later in life I am still moving well. I had a year off from football in 2015 due to an ACL reconstruction and that opened my eyes up to how much movement was important to not just me, but for everyone. Winning a hit out to the advantage of a teammate that directly leads to a goal. Advice for local kids looking at getting involved in footy: It can’t hurt to give it a try. If at first it does not work, keep trying – you will love it.